This William Hill review will take a closer look at the key features, products and services of one of the world's largest bookmakers. William Hill is both the largest land-based bookmaker in the UK and a significant player in the global online sports betting market; we will hone in our focus on its online sportsbook, which offers plenty of value and variety for customers. We rate the current welcome offer of Bet £10 Get £30 free bets as 4/5. The betting markets available during this William Hill review were among the most extensive in the business. Along with the usual array of mainstream sports, there were widespread betting options across lesser-knowns such as hurling, lacrosse, yachting, and winter sports, as well as a complete motorsport offering. There is also a constantly changing TV Specials market, which includes wide-ranging betting options on popular shows such as Britain's Got Talent, along with ad-hoc markets such as politics. Numerous bookmakers now offer these ad-hoc betting markets, but few do it to the extent of William Hill. If you are a new player and you want to benefit from the bonus, don't forget to use the William Hill promo code during your inscription. Our William Hill review found some wild fluctuations in terms of valuable odds on offer. When it comes to major sports markets such as football, tennis, golf and US sports, William Hill rates as one of the best. 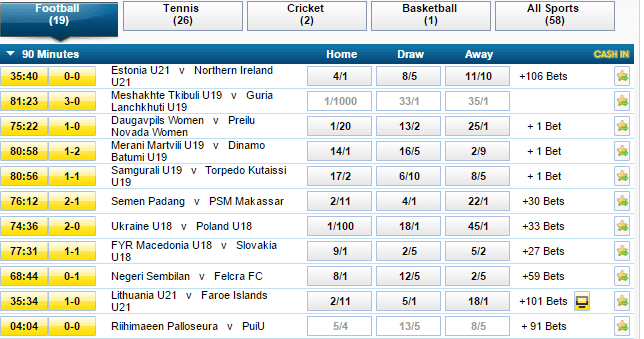 The value decreases somewhat on more nichè markets such as esports, snooker, and volleyball, as well as futures bets. Additionally, given William Hill started out predominantly as a bookmaker specialising in horse racing, we expected more from their thoroughbred odds. But, over the course of our review, their prices at several race meetings in the UK and Ireland didn't live up to expectations. William Hill's odds during these midweek and weekend race meetings were often equal to, or slightly below, those offered by major rivals. Available for free on iOS and Android, William Hill's mobile app features all that you would expect from a market leader's on-the-go betting product, including live streaming, detailed markets and payment options, and mobile-friendly promotions. All of this is neatly packaged into a layout that is well designed and easy to navigate. The app is also fast and intuitive; we encountered no glitches or software issues during this William Hill review and were impressed how quickly bets could be placed. William Hill boasts a comprehensive live betting offering across its full spread of sports. At the time of writing our William Hill review, 2128 in-play markets across 52 events and seven sports were open, which rates among the best in the business. The ‘Cash in my bet' feature, which can be accessed through the open bets tab, is another impressive aspect of the live betting service, allowing bettors to fully or partially cash their bets while events are still in progress. 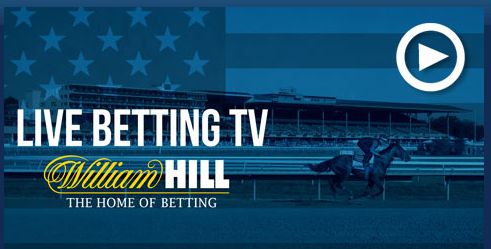 Complementing this is the William Hill TV (WHTV) live streaming service, which broadcasts a plethora of live sporting events to customers who are logged into their accounts. The array of football matches streamed through WHTV is particularly strong, as are the horse racing selections, which include the full mix of racing in the UK and Ireland, as well as international action from Dubai, Australia, and South Africa, among others. Country restrictions do apply to some live streams, but this generally does not extend to UK-based customers. There were comprehensive payment options available during this William Hill review, including e-wallets, debit/credit card and cash transfer options that all come without transaction fees. Withdrawals are also free and generally take one business day for credit/debit cards and e-wallets, and a few days for all other methods. The minimum withdrawal amount is reasonably set between £5-£10 depending on the payment method. Available 24/7 and accessible via live chat and phone with minimal waiting times, William Hill's customer service is world-class. Response times for email queries are prompt, generally within the 24-48 hour range and sometimes less. This William Hill review found the FAQ section of the website and mobile app lacking, however, which results in bettors having to reach out to a customer representative to have their queries resolved. We saw a lot of plus side during this William Hill review, including an easy-to-access welcome offer. Bets can be made on William Hill's extensive markets and in-play options, both via the website or its impressive app. While the odds do need a boost in some markets, William Hill still gets its service offering right.